Enjoy the ultimate driving experience in a Toyota vehicle! Here at Warrenton Toyota, we offer quality Toyotas at a great price. Whether you are searching for the perfect lease deal, financing options, or auto servicing, our professionals are here to help you. Are you located in nearby Calverton or Linden, VA ? Stop by our dealership to take advantage of these amazing specials, today! Find your new Toyota at Warrenton Toyota. We provide various options to help get you into the car that best fits your needs. Whether you choose to lease or purchase your new Toyota, you can get it at a great price. By purchasing a Toyota vehicle, you’ll be able to take advantage of their great resale value and dependability. Leasing a new Toyota also has multiple benefits. It’s a great option for drivers who are not yet ready to commit to a specific vehicle. This way, you have the opportunity to trade your car in for a newer model once your leasing contract ends. Don’t wait any longer! Buy or lease your new Toyota from Warrenton Toyota in Virginia ! Get started with your financing process today by completing a credit application. Are you in the market for a used Toyota or other make? Look no further! Our dealership has a large selection of quality used vehicles for you to choose from. Get your used car for less when you shop with us! Whether you are travelling from nearby Culpeper or Calverton, VA , our dealership is only a short drive away. 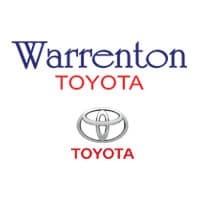 Purchase your used vehicle from Warrenton Toyota, where we provide numerous options to help you save. If you have found a vehicle that you like, but the price is a bit out of your current budget – don’t fret! We offer financing options to help make your Toyota purchase much more affordable for you. Our professional finance team will work diligently to provide you with an amazing auto loan, despite your current credit situation. Therefore, you can purchase the car and pay towards your auto loan each month. Find the vehicle that you are searching for here at our Warrenton dealership. Does your Toyota need servicing? Receive expert automotive service at our Toyota dealership. We provide great maintenance and repair options at a great price. Whether your vehicle is in need of a quick oil change or a major overhaul, we can get the job done for you. Check for special parts and service offers before your next service appointment. Schedule your service appointment at Warrenton Toyota , where we are proud to serve drivers around Virginia!